Many a time, Thomas Charles, the owner of Charles Property Services has encountered scepticism from clients’ when it comes to being a lone ranger or being a single operator who also happens to be the company’s owner. The fact that there is no reporting in to anyone or a perfunctory boss does seem to throw clients’ off-guard and they are at times not very comfortable with the idea. Why you may ask? It is that in the customer’s minds, if the service wasn’t up to the mark or not living up to their expectations, then they would like to have the option of lodging complaints or sharing feedback to a higher-up or a Manager, which here it is not made available because of the fact that it is all-in-one. In that regard, before they avail our services, they do have these misconceptions and doubts in their minds. But after they have availed our services, it is a different story all together because that is the level of our work and expertise and our work really speaks volumes. Many a time customers’ are not at fault that they rate a particular service or company based on the number of years’ of experience that they have gathered. So, they believe that a company which has over two decades of experience is more dependable than us, as Charles Property Services has only a little over 6 years of experience and they feel that work may be compromised and the knowhow will be much lesser. Yet, we do step out to iron out these misconceptions and share with clients’ that, yes experience does have its own say, but having lesser number of years of experience is in no way an establishing factor that work would also be shoddy, sloppy or be handled in an inexperienced manner. It is the attitude and approach to work, not to miss commitment and learning that would make the difference and not the many years of experience that may still not ensure that it will be a job well-done. We cater to any sector or segment as we believe in expanding ourselves and giving us maximum visibility and presence. That being said, residences, offices, commercial buildings, retail spaces, companies, pensioners, budget-conscious folks, homeowners, the hospitality sector and more make up our target audience. 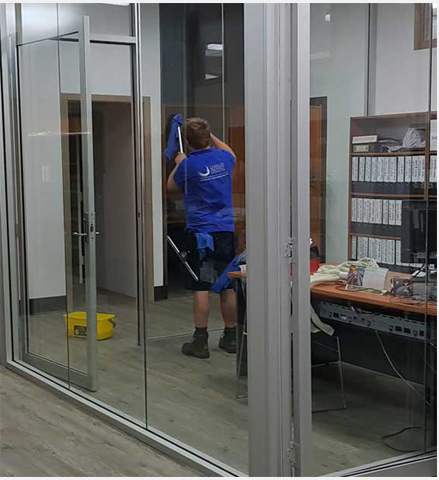 So, if anyone seeks our assistance, or want any related cleaning services and make a request, we are more than happy to oblige and undertake the service for them. As is a requisite, being the owner-operator of Charles Property Services, I am fully trained, certified, completely insured and licensed. And our business is completely insured too. All our employees have undergone the mandatory police verifications because we value our clients’ trust and faith in our services and that is why this is something we ensure is definitely done from our end. And yes, we have taken on only experienced staff members who know not just a thing or two, but are well-versed in the many aspects of gutter cleaning and more. As part of seeking licences and certifications, Charles Property Services has availed the Height Safety licence issued by Pinnacle Safety and Training. Do you want to know more about Charles Property Services? Or do you have any queries? Then drop a line to us at admin@charlespropertyservices.com.au or call us on 0477 644 663.